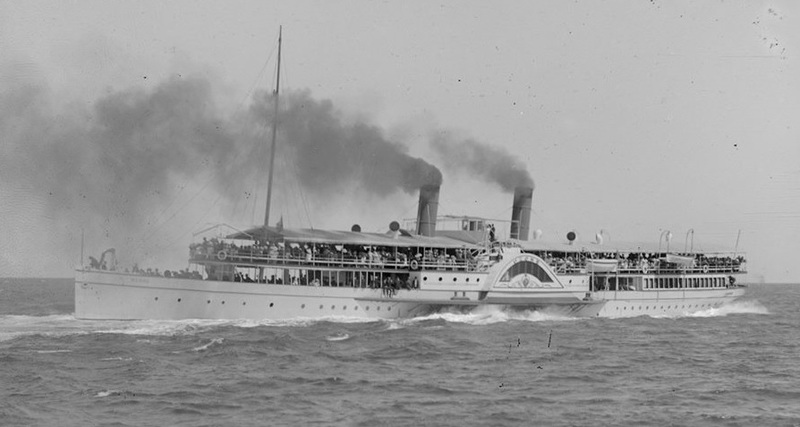 Paddle steamers are believed to have operated from the 1840s as settlement expanded and tourist resorts developed in the Port Phillip Bay area.......and a thriving industry survived until into the second world war. 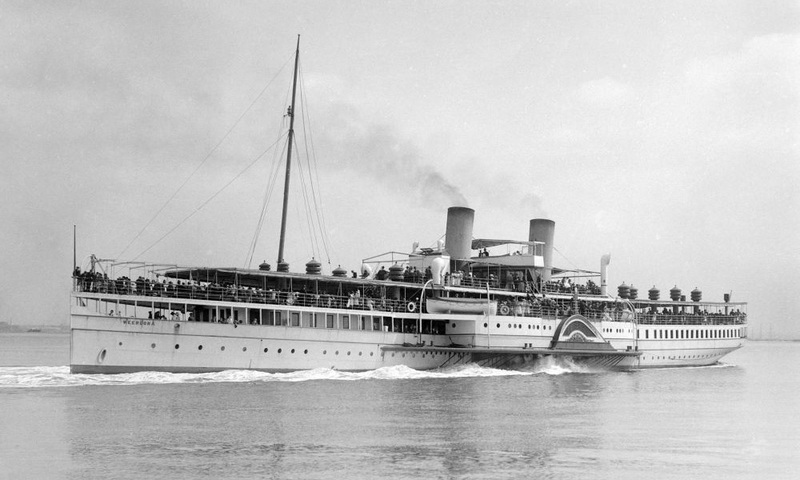 The removal of PS Weeroona for military duties for the US Navy brought an end to paddle steamer operations and although the paddler returned to Australia after the war she never resumed her earlier role and languished in Sydney harbour for five years before being scrapped. was started by Sorrento-based entrpreneur George Coppin, whose interests included the local theatre, hotels and a tourist tramway. Built in 1886 by Napier, Shanks & Bell of Yoker, Scotland (yard no 34). 572 grt. 260 ft (79 m) long. Served until 1918. Broken up in 1925, but her hull and wheels were retained then scuttled off Indented Head as a breakwater and remains visible to this day. A memorial to the steamer which features her anchor was established at the Head. Her delivery voyage to Melbourne lasted from 25th August to 26th November 1886, sailing via Suez. Built in 1870 by Duthie & Ross, Auckland, New Zealand originally to be with parts shipped from the United Kingdom, but with the transporting ship wrecked during the passage, the ship was actually built of wood. The 200ft long ship originally sailed in New Zealand on the Thames River before being sold for use in Australia in 1874 where she sailed from Melbourne to Mornington, Dromana, Sorrento and Queenscliff until withdrawn and broken up in 1892. Built in 1882 by R Steele & Co at Greenock, Scotland (Yard no 120). 452 grt as built. 551 grt after lengthening from 200 ft in 1883. Length 228 ft, iron hull. Originally owned by J Deane but quickly taken over by the Port Phlilip company and lengthened. In 1889 she was blown ashore at Port Melbourne Bay and beached and ownership placed in the hands of a local bank. It was not until January 1891 that she was refloated, but rather than be fully repaired she was sent for scrap.